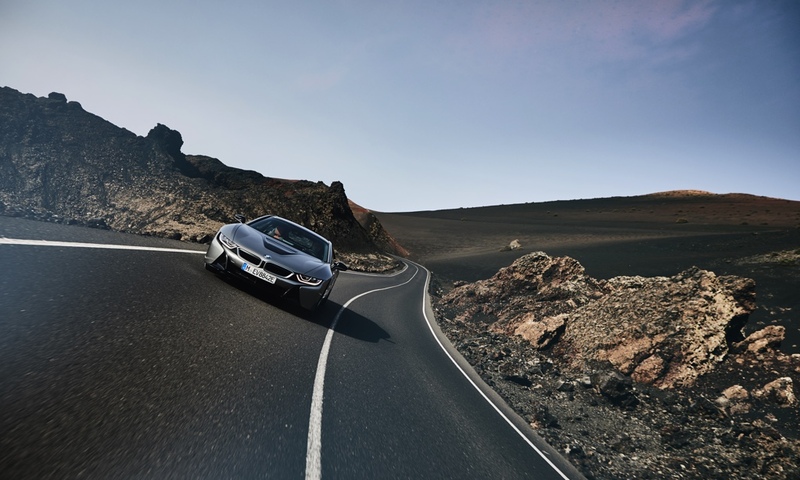 The BMW had a difficult task ahead of them with the i8: while the model currently on the roads looks, sounds and feels like it comes from the future, it’s already four years old and due for some upgrades. But how do you add new features to the most advanced coupe on the planet? At the Los Angeles Auto show, the Bavarian automaker showed us what it had in mind. This is the 2019 BMW i8 Roadster. 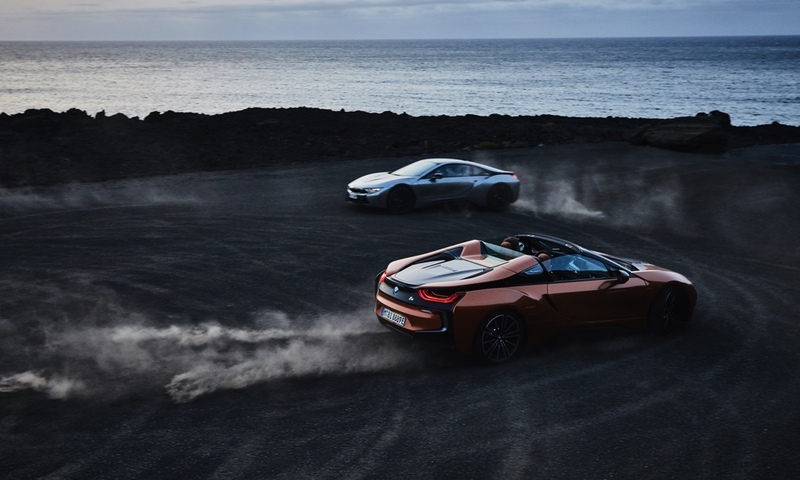 While it may look like a simple job to transform the i8 Coupe into a Roadster, a lot went into this process. The small rear seats are now completely gone, having been replaced by a storage space for the fabric top. Said top can be fully retracted in only 16 seconds, and can be operated at city speeds. Between the pair of buttresses on the car’s back, a piece of glass can also be retracted, giving passengers a true drop-top feeling. 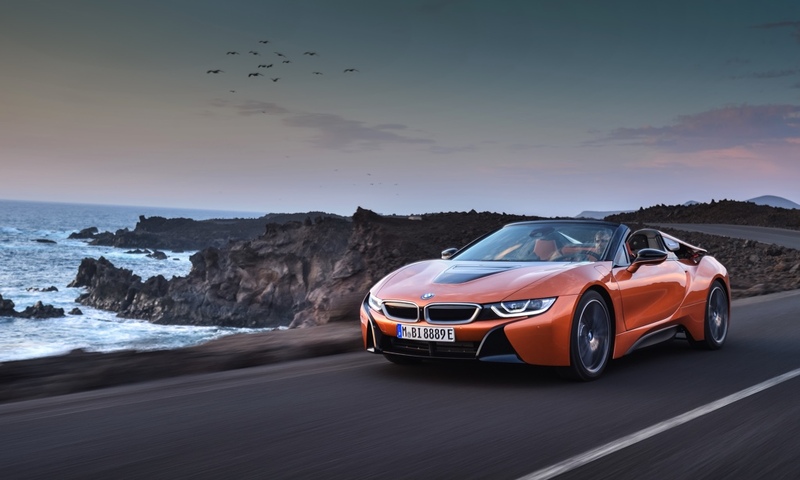 Just like the original i8, this new Roadster variant makes use of new technologies. For example, the parts that connect the body with the roof mechanism are built using 3D printers. This is a first for BMW and will provide important information about the use of this tech for mass-producing parts. 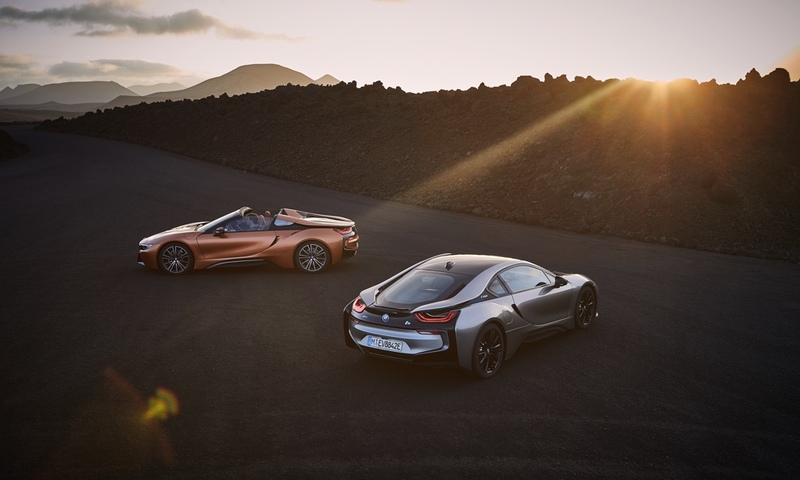 The 2019 i8—both the coupe and the roadster—uses the same powertrain, an updated version of the original engine launched in 2014. The turbocharged three-cylinder engine remains identical and still outputs 228 horsepower, but the electric motors have been beefed up to product 141 total horsepower, bringing the total combined rating to an impressive 369 hp. This means the coupe gets to 100 km/h from a standstill in only 4.2 seconds, while the roadster will need 4.4 seconds to achieve the same speed—this slightly slower 0-100 km/h time is caused by a 132-pound weight gain. The range in all-electric mode has also been increased so that now a full charge will take the i8 almost 30 km without using a drop of fuel. This added range comes courtesy of a larger lithium-ion battery, which now boasts a capacity of 11.6 kWh. Among the list of aesthetic changes for 2019 is a new hood vent, two new colours, an optional 20-inch wheel, available carbon-fibre trims and a new interior colour scheme. So, the i8 will certainly retain much of its original essence, but this is far from a bad thing. Its butterfly doors, spaceship-like sound and unbelievably futuristic looks will still make all the heads turn. As always, if you want to be one of the first to receive your 2019 BMW i8, don’t hesitate to contact us.